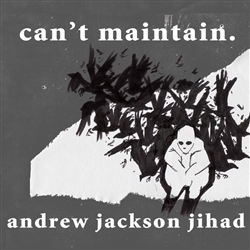 Andrew Jackson Jihad returns with their second full length, Can’t Maintain. More funny, intelligent, and brutally honest songs about self-loathing, as well as loathing for everyone else. An assortment of guest musicians, including label-mates Bomb The Music Industry and Kepi Ghoulie, help fill in the cracks.